Please select a size. 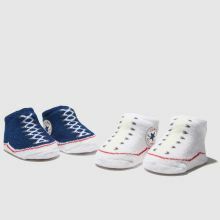 UK 0-6 MTH - In Stock Please select a size. 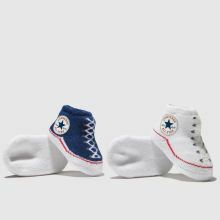 Downsized for the tiniest tootsies around, Converse craft these ultra-cute Booties. 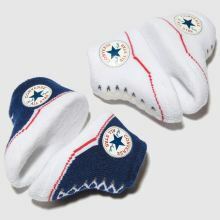 Boasting original branding and a navy and white colourway, this fabric sock will style up any outfit the put them in. 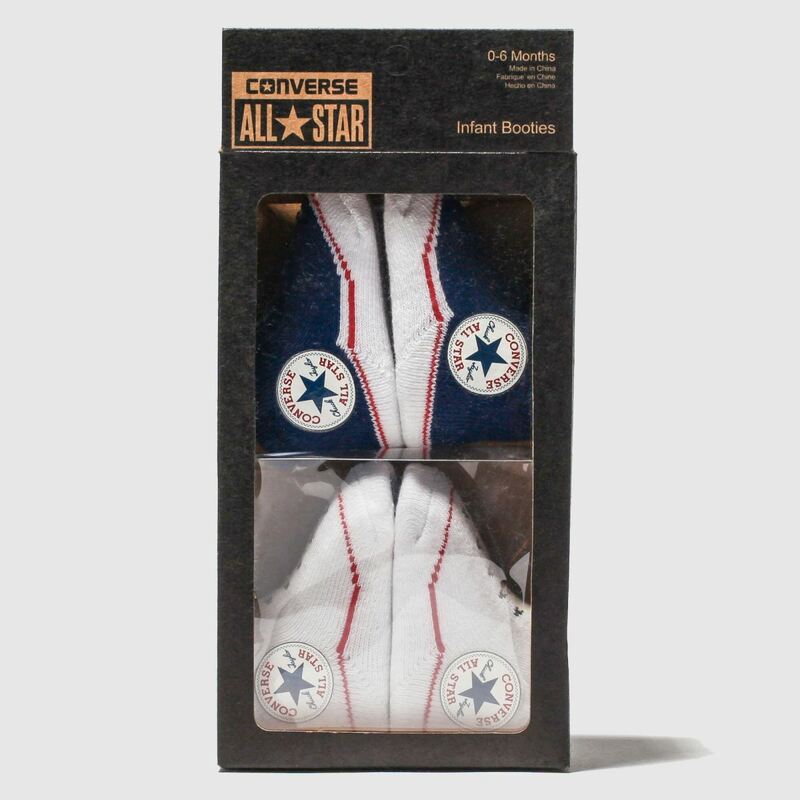 A decorative box makes these an ideal gift.